A Biomat Combo is a very powerful tool that no other medical device can compare. The FDA approved Richway Biomat holds a 510k rating, meaning that it has been evaluated by the Food and Drug Administration and proven to provide temporary relief to a whole host of conditions. The proven benefits of Infrared Therapy derived from natural chemically untreated or artificially heated amethyst gem stones. (Yes, “Cheap Imitations” are cheaper for a reason. While they may look the same chemically altered, artificially colored, or inferior stones that are heated and exposed to gases to alter their appearance do not provide the same therapeutic properties the natural amethyst.) 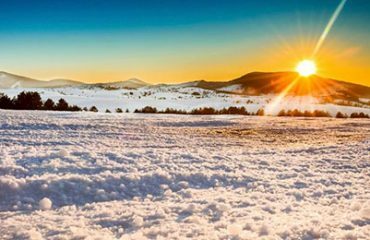 When combined with the exceptionally large quantities of negative ions created by the Biomat and the many holistic concepts and energy layers built into the Biomat. This means that most people will get all the therapeutic benefits they need from a single Richway Professional Biomat. However, the Biomat Combo may be needed for some customers and will be very beneficial to many therapist and clinicians. While whole body therapy can be achieved using the Professional Biomat there may be situations where you want to have 360-degree coverage in certain areas of the body when conducting your amethyst based infrared and negative ion sessions. Additionally mobility, budgetary, and comfort factors also can play a role in deciding which Biomat combo is right for you or your clinic. Take a look at the most popular Biomat combos and see which one is best for you. If you have any questions please feel free to give us a call at 844-BIOMATS and we can assist you in determining the best Biomat or Biomat Combo for your unique needs. The Biomat Ultra Comfort Combo is the Therapeutic Flag Ship, offering the best in whole body infrared and negative ion therapy while being able to target large areas such the breast, abdomen, or thighs and lower legs. This Biomat combination also ensures that your head, neck, and back are not neglected. The Bio-Pillow provides proper cervical alignment while delivering heat free infrared and negative ions to the neck head and face. 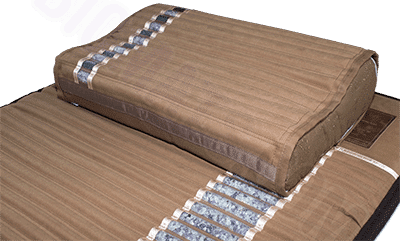 The Quantum Energy Pad with its powderedized grape seed, peach pit, not only enhance the quantum energy layer of the Richway Biomat, but it also provides the best option for added comforter without the negative effects of off-gassing when it heats up. This means that you or your clients can experience a longer therapeutic session in greater comfort. This Biomat Combo is best for people who want best full body Biomat Experience. This Biomat Combo is perhaps our most versatile combination and is defiantly the most the most budget friendly. Ensuring that you get the best therapeutic experience that only a genuine Richway Biomat can provide. The smaller size of this Biomat Combo means that you can easily move it from room to room, home to office, or bed to the sofa. The trade off while you can do a lot with the Biomat Budget Combo. You will be able to experience the full body therapy that the Professional Biomat or one of the other Biomat Combos can offer. Yet if you are getting the Biomat specifically to target key areas of the body, then the Biomat Budget Combo will provide the directed therapeutic energy that you need. The Mini Biomat is large enough to cover the back from shoulders down to the buttocks for most clients. While The BioBelt is wide enough to cover areas such as the stomach, breast, or prostrate area. This combination will allow you to receive 360-degree coverage in a targeted area. This Biomat Combo is best for those who may be on a tighter budget but need 360-degree therapeutic coverage. This is also a good chose for those who provide services at different locations as the smaller size makes it easier to transport. This Biomat Combo provides a full body therapeutic experience. ensuring that the head and neck are properly supported while providing no heat infrared and negative ions to the face skull and neck. This is critical as it helps to ensure that the head and more importantly the brain does not get over heated due to directed heat being applied to it. The Professional Biomat also enables whole body coverage. This is the most common set up for wellness professionals as it allows them to perform their services or treatments to their clients without any obstruct. A Richway Biomat is a very power medical device when used alone or when paired with other medical or wellness treatments or therapies that you may receive or provide. But if you know you need the best combination therapy please contact us and let us know. We can help you chose the best Biomat Combo for your specific needs. We will also be able to determine when we speak if you qualify for any special pricing or discounts that may be available. Please send us a contact request or call us at 1-844-BIOMATS.